If the stress of juggling school, work, and family is making life difficult, you are not alone. In 2011, 71% of the nation's 19.7 million college undergraduates also worked while getting a degree. Two in five worked at least 20 hours a week. One in five worked at for least 35 hours. A quarter have dependent children. Related: 7 Tips For Juggling Work And Grad School Not surprisingly, time-shortage is one of the biggest reasons for students dropping out before completing their degree. So how do you make sure that you stay the course? Here are top five tips for managing your time for academic – and professional – success. Is A College Degree Still Necessary? Every single day, I receive an email, Facebook message, or blog comment from a high school or college student who questions whether or not there’s value in a college degree anymore. Related: How To Make The Most Of Your 20's To Advance Your Career In Your 30's This question is often asked from the angle of online education. It’s also asked because Millennials have been raised with examples of successful people who are constantly thrown in their face who either never stepped foot inside a college classroom or they dropped out shortly after attending. Steve Jobs, Bill Gates, Richard Branson, Mark Zuckerberg, Matt Mullenweg, Arash Ferdowsi, Aaron Levie, David Karp, Pete Cashmore, Daniel Ek. Need I say more? As it pertains to online education, there are so many viable paths for a person to educate themselves that weren’t available 10+ years ago, that have proven themselves to be effective forms of education. I myself am a living breathing example of this new movement in online education. I dropped out of college after my freshmen year in 2005. After attending one year of college, I realized very quickly that college was never going to properly educate me or prepare me for the future of business. It turns out that I was correct. Dropping out of college was the best decision I ever made. 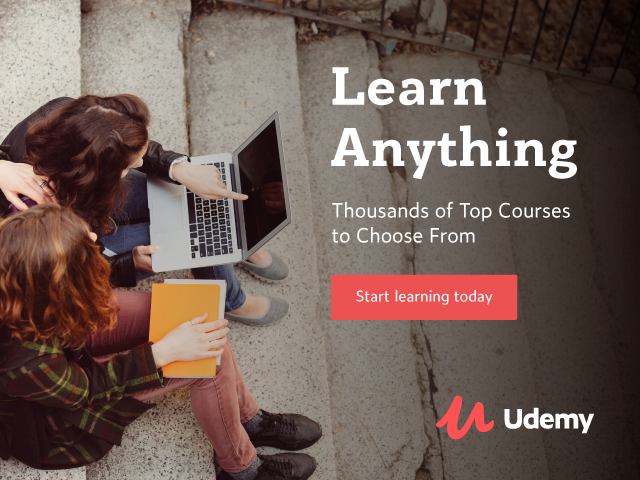 I self-taught myself everything I know using YouTube, Lynda.com, reading thousands of articles, dozens of books and taking dozens of online courses, all of which were not from accredited universities. Lynda.com as an example, has instructors who are Adobe certified. They also run successful businesses in their respective fields outside of their coursework on Lynda.com. How does this compare to your average college professor who has zero outside in the field experience? If trying to learn Photoshop and given the choice between an Adobe certified instructor and some inexperienced professor in a classroom, I’ll take the Adobe certified instructor anyday of the week. As a disclaimer, it’s important I stress that not every in-classroom teacher or professor lacks value or skill. Please do not misinterpret the point I am trying to convey. Despite not having a college degree, I’ve survived and thrived in my career reaching a position and salary in Corporate America that many people twice my age could only dream of. I don’t say that to brag. I say that to illustrate that the world has truly evolved. I also don’t recommend and prescribe the notion of dropping out of college or not pursuing a college degree in its entirety to everyone I come across. Here’s the bottom line as I see it: education has evolved. It’s no longer confined and defined as something that can only be obtained by an ‘accredited institution’ or inside of a classroom. An education is simply the attainment of skills for a person’s chosen profession. For some people, a college education is necessary for their career. For other’s, a self-taught education online is also suitable. It’s important for the individual to research their field and find out which path of education will be most suitable for them, as there isn’t a one-sized fits all approach. For some college students, an educational major is more of a choice stemming from one’s personal passion and interest rather than what might be most practical for a traditional post-education career. This can certainly be said for the bold, brave, and visionary individuals who go into art education to expand their knowledge. Related: 6 Ways Recent Graduates Can Stand Out As Professionals And there certainly are career opportunities for those skilled in providing new perspectives. Those with creative vision can make extraordinary artists, authors, and inventors—but when that vision is applied recklessly or without focus, graduates can be burned by hiring managers like a fledgling Icarus flying too close to the sun. Art majors may not have as surefire of an employment rate as other fields. In fact, photographic art, fine arts, and graphic design all appear in Forbes’ “The 10 Worst College Majors” list due to higher unemployment levels than more traditional business-oriented degrees. However, bearing in mind the following food for thought can help you reach your professional aspirations. While statistics can be grim, the fact is that individuals with passion and an original vision are always in high demand in today’s workforce. So, before taking the college plunge, how do you find your footing in a real world career with an art degree in hand? Going To Grad School: Yea Or Nay?